Thank you for visiting the website of Bellia Print & Design. If you’re searching for top quality Glassboro NJ graphic designers, we should be your destination. Our team is dedicated to bringing a personal touch to your individual printing needs, for invitations, announcements or business print media. Bellia is a family owned and operated South Jersey business that has been serving the needs of local businesses for over three decades now, and our clients love the exceptional service we provide. Printing. Whether your needs are personal or for business, Bellia can design and create the ideal print media. Our team can help you with birth announcements and wedding invitations, and we can design business cards, flyers and brochures for your business. All with a top quality, professional-looking design. Mailings. At Bellia, we employ our bulk mail permit to help you reach the maximum number of prospects at the smallest price through direct mail. We can also customize your mailing lists, so that you can use variable data to help reach an interested audience. Graphic Design. 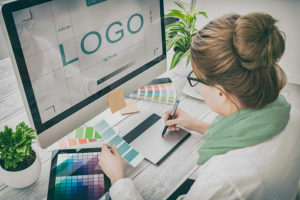 The Glassboro NJ graphic designers at Bellia are talented professionals who are experienced in the latest design software, including Adobe Photoshop and Illustrator. We’ll create a bold and attractive design to communicate your message. Event Announcements. Bellia handles all types of print announcements, from wedding invitations to birth and graduation announcements to prayer cards. We understand the value of these days and we help to make them memorable with top quality designs. That’s just a few of the many services Bellia Print & Design offers. If you’re looking for any sort of print media for any occasion or need, we hope you’ll have a look at this website and see other services and examples of finished work. If you need a high end professional design team for your personal or business needs, contact us today and request a quote. We are ready to help your message stand out!